As we drove along Qinghai lake, I was enthralled by the beautiful mountains and gorges, which is all part of the Tibetan Plateau. Adventurous and curious always, we decided to try an off beaten track and walk into the valley. A 2 hr walk into the valley was exhausting for me and my high altitude headache sets in as I’ve already climbed a hill the same morning (not easy over 3500m altitude)! I decided to call it a day despite Terry walked in further and saw a Tibetan Partridge! We decided to head back to the same valley again the next day- this time we had water and food with us. It was a tranquil valley and i’ve kept my eyes wide open for a sighting of a fox or Tibetan wolf. But little did i know a much much rarer encounter awaited. 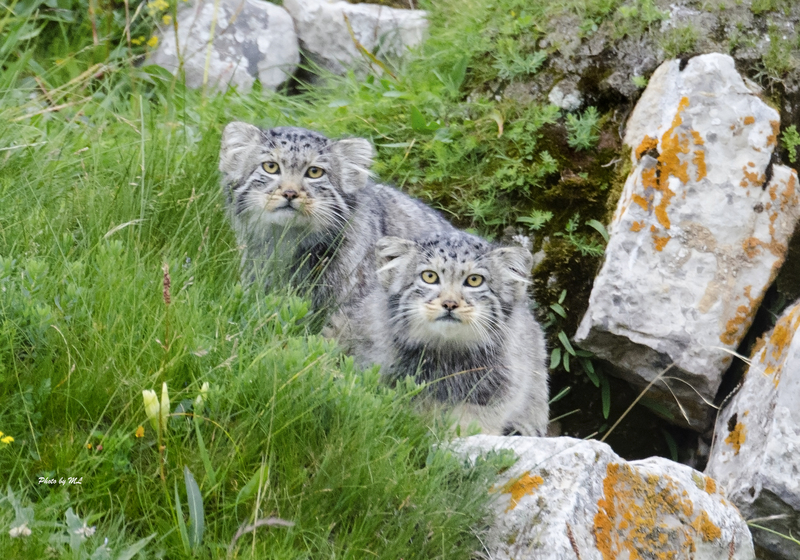 I paused and thought to myself “pallas’s cats. Wait, its cats with an “S”, not one cat but in plural form”! My eyes searched desperately towards where the scope was positioned..but i could only see stones! 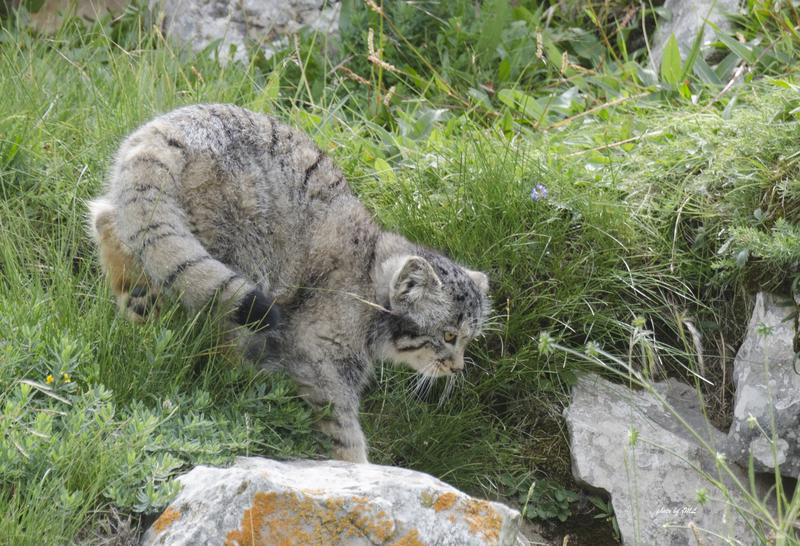 Looking through the scope could I only then see the Pallas’s cats– 2 juveniles! 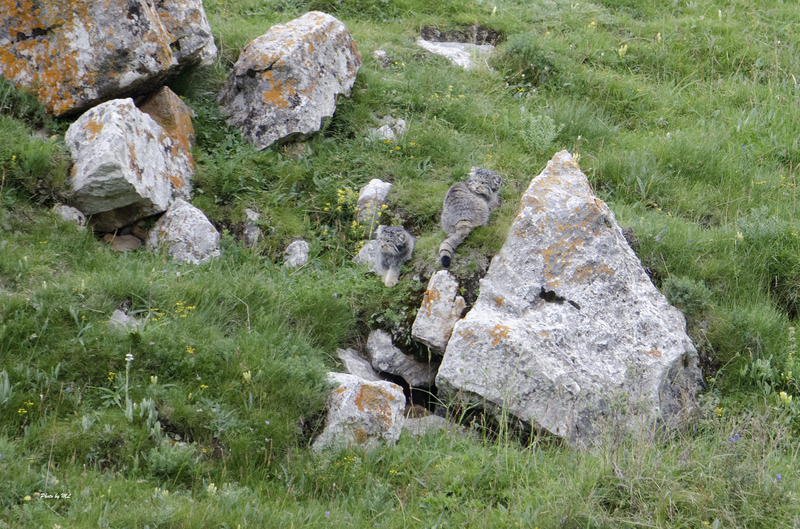 Not only did I have great views of the two juvenile Pallas’s cats, but also saw their mum came back to the den with a PIKA and one of the juveniles snatched the breakfast. How rare a sighting is that?? 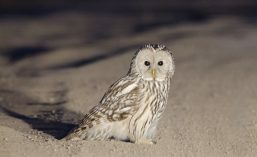 😛 What’s more, its a new addition to my collection of Pallas’s birds and mammals edition! 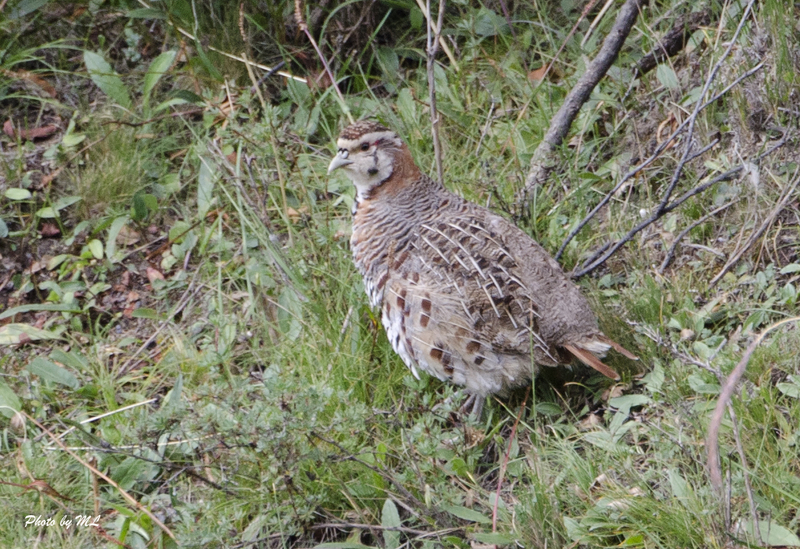 We decided to move deeper into the valley for the Tibetan Partridge, leaving the cat family some privacy. It was an unforgettable moment and I felt so lucky to have such a great encounter. I seem to have some luck with cats- since my first cat encounter was the Amur Leopard Cat, three years ago- my post here! 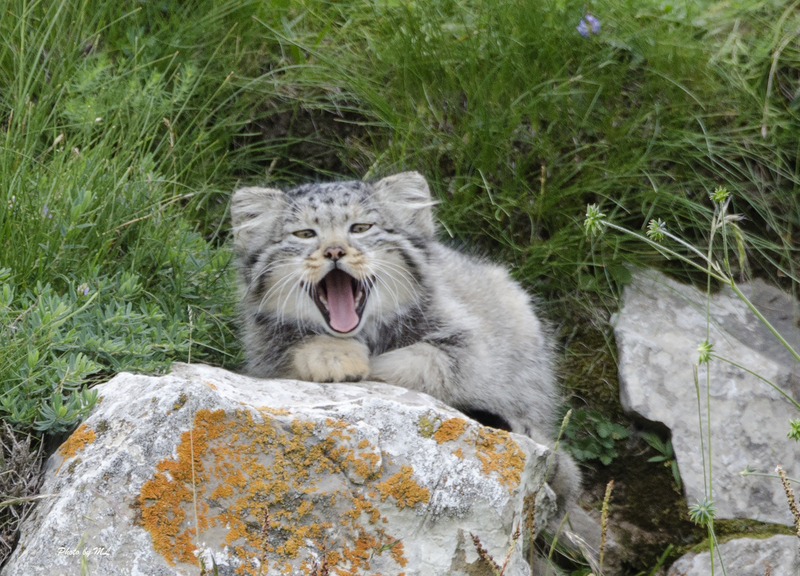 I hope I get to see the Snow Leopard cat soon which is in my bucket list.